Lavernock is a great venue offering a few very good marks in short walking distance of each other. All areas a best fished at low tide as the current is very strong even on the smallest of high tides. Parking depends on which area you are to fish. The point itself has only limited parking which can be found down Fort road, past Lavernock point camping park at the end of the lane. only enough room for 4 or 5 cars at best though. You can also park here if you wish to try your luck at The ranny, but it is just as easy to park on the end of Penarth promande and walk from there. 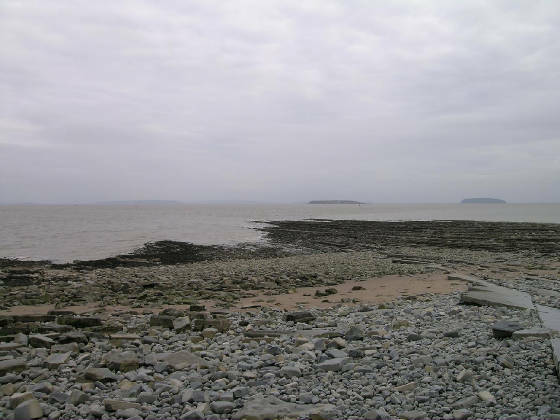 Lavernock point itself consists of a large rock point that is exposed at low tide, there's sandy spots, patches of sea weed and large boulders all over the bottom. Snags can be an issue so rotten bottoms can be a big help. In general a good spot to fish not to muddy with some decent fish caught around 200 yards to the left of the point. The beach to the right of the point is very shallow and is best fished at low tide, walking along the beach to the end of the caravan park on the cliffs above sees the best spot with large beds of sea weed mixed with sandy areas. On a safety note be very careful of a rising tide in this area, you can easily get trapped and find yourself pinned against the cliffs or worse. The Ranny is situated to the left of the point, at low water a large cresent of rock protrudes from the water. Very rocky bottom with sea weed patches, tackles losses should be expected.All three areas have gullies or drop offs to deeper water, but fish can be caught at close range aswell. Expect to catch Codling, whiting, pouting in winter. With Bass and conger in summer. Best baits include Lug, Rag, Peeler crab and Squid.